I think my dog is part meerkat. 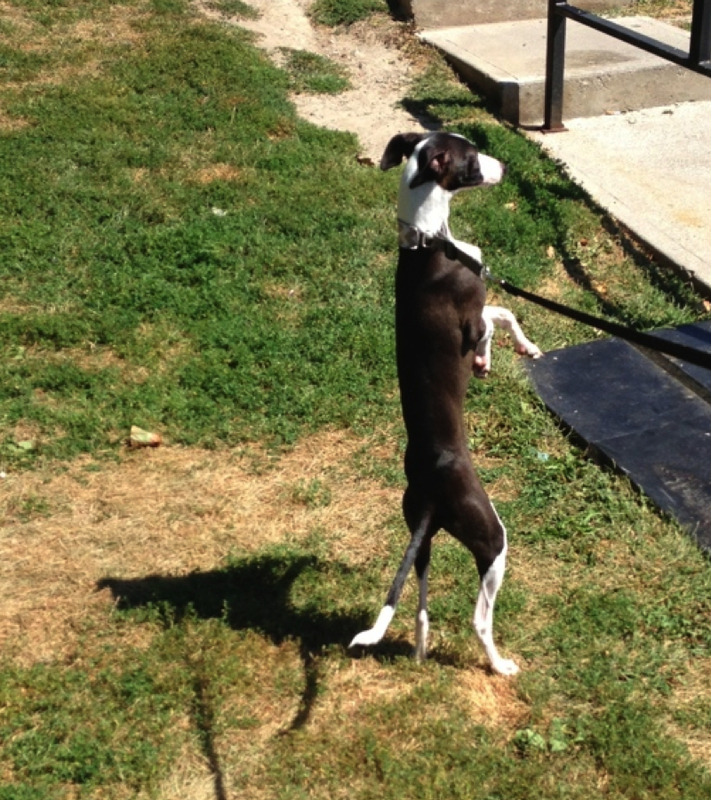 He has this habit of standing on his hind legs to look for other dogs at a distance. He's can even hop on them too and put a smile on people walking by. Who Newton could also be an entertainer.